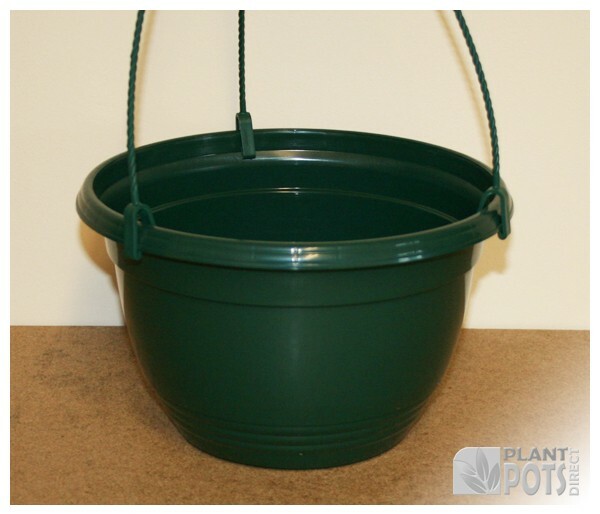 Low priced but attractive round hanging pots for your flowers, shrubs and vegetables. Produce by using a injection moulding method, resulting a strong ridged plastic that can be used season after season. Comes with 3 holes at the bottom for irrigation, the holes at the bottom of the pot are raised by 20mm so the pot holds a little bit of water at the bottom. Come complete with corresponding hanger.